Enjoy all your favorite American classics at Windsor's family friendly Lot 88 Restaurant and Bar. Fashionable restaurants are a Wine Country signature, but here in Sonoma County, children eat well when dining out, too. Case in point: the kids menu at the new Lot 88 Restaurant and Bar in Windsor caters to the little ones (10 and under) with seven thoughtful meals, all served with fries or veggies and soft drinks, milk or juice. Of course, there are plenty of “grown-up” dishes on the lengthy American classics menu, too. But let’s start with a look at the peanut gallery. Tykes will love being able to choose among chicken strips; mini cheeseburgers; grilled boneless, skinless chicken breast; mini corn dogs; pasta marinara or with butter and Parmesan cheese; grilled cheese; or one-topping pizza. For the more mature crowd, the menu rolls along a traditional path of bar bites, big sandwiches, burgers, pizza, big salads, and entrees focusing on steaks, chicken, seafood, and pasta. Set in the former Johnny Garlic’s in Lakewood Village, the airy, farm-stylish eatery is the work of Moh and Lori Elahmad, first time restaurateurs. They cover all the pub favorites, like short rib tacos with jalapeno-cabbage slaw, crispy chicken wings, onion rings, and fried artichokes topped with shaved parmesan for dunking in lemon aioli. Named for its street address, the restaurant is part sports bar with televised games and part family-friendly spot to get a good meal at a reasonable price. The most expensive item is a rib eye steak at $30, and that delivers a hearty 12-ounce cut smothered in herbed compound butter and served with roasted fingerling potatoes and sautéed asparagus. 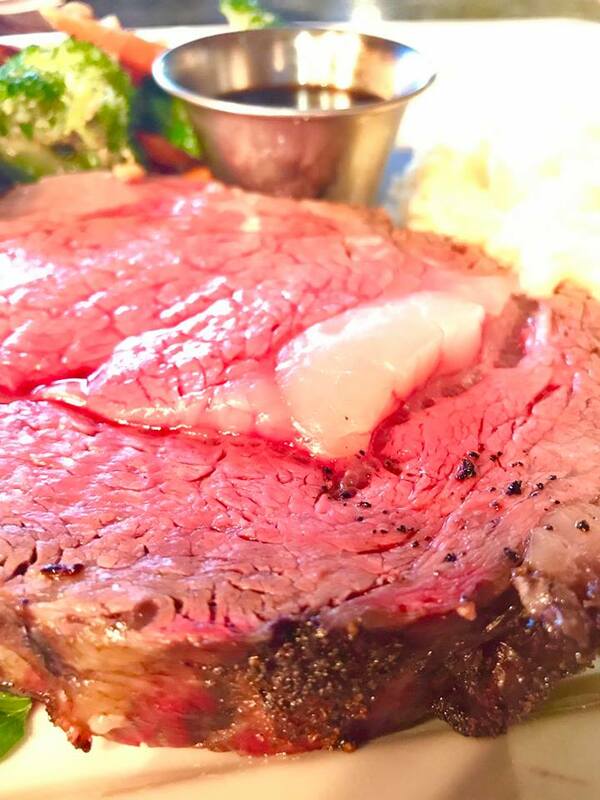 Friday and Saturday nights, meanwhile, mean prime rib for $25, a real bargain of a 12-ounce slab with baked or garlic mashed potato, seasonal veggies, horseradish and jus. Burgers, meanwhile, offer a choice of beef, turkey or veggie patty, and come with French fries, house salad or homemade soup. My top pick is the beef patty smothered in sautéed mushrooms and onions, a gooey mantle of Provolone, lettuce, tomato, pickle and mayo on a grilled bun for $15. 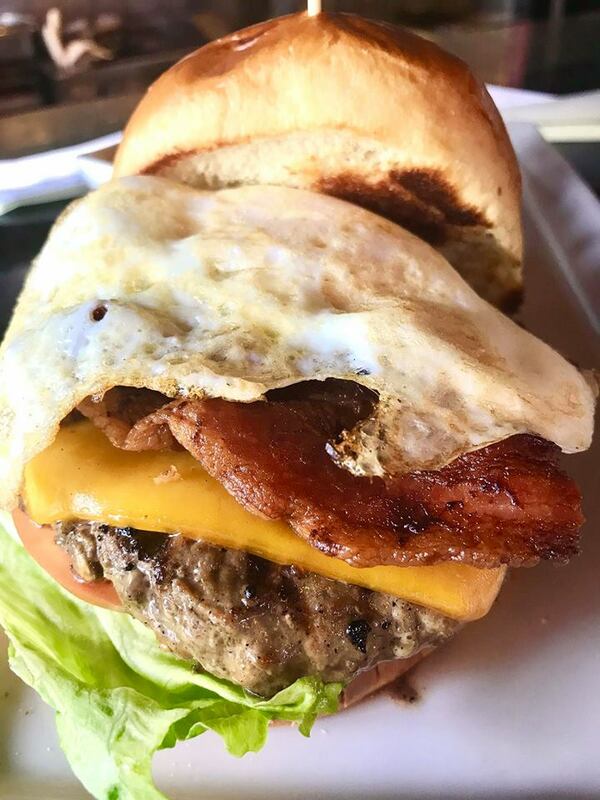 Brunch lovers can go nuts on the weekend, with bottomless mimosas ($15) or build-your-own bloody Marys ($20) to go with belly fillers like a nine-ounce rib eye with two eggs, country potatoes, and toast ($18). And if you’re looking for happy hour, here’s the spot, offering pizza for $6, crispy fries topped with garlic, parsley, and parmesan for $4, and a $6 slider trio of a cheeseburger, barbecue pulled pork, and crispy chicken.